 Providing support + advocacy services for those of Métis heritage. Kikino Métis Children & Family Services Society is a non-profit society that was founded in 2003, as a need was recognized that Métis children and families living in the Prince George region did not have direct access to culturally specific advocacy and support services, exclusive to their Métis heritage. We provide broad-based community prevention and education programs that are geared towards everyone in the community, as we recognize that all families need support in raising their children. Our programs are designed to nourish the dignity and integrity of the family, to build community spirit and to affirm our Métis cultural identity. A video focusing on Métis culture and heritage; created by the Kikino Métis Children and Family Services Society located in Prince George, British Columbia, Canada. Kikino has recently become the new host agency for the Prince George Aboriginal Child & Family Commission (PGACFC).